This spacious 3 bedroom detached villa is situated in a quiet residential cul-de-sac in Lower Peyia. The village has a wide range of local amenities and the popular holiday resort of Coral Bay is just a few minute’s away. 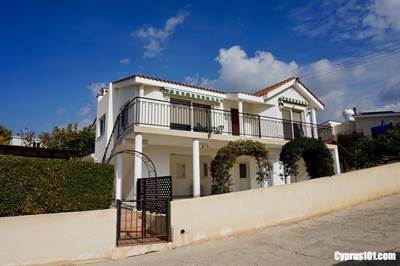 The property is highly suitable as a permanent residence or holiday home, comes furnished and has full title deeds. ← Previous Previous post: Chloraka Villa – Pool, BBQ Area, Deeds & More!